Whether you own a large race team or you just fly solo... "We got your back, so you look good on the track!" 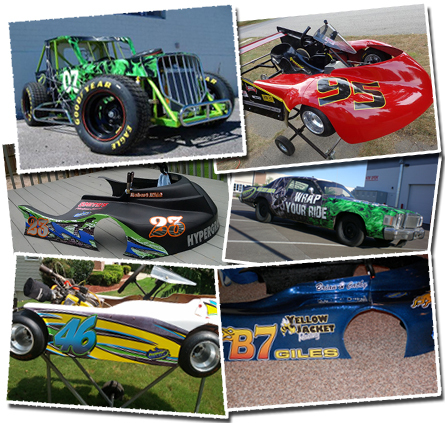 We offer everything from basic number kits up to full wraps, to make your ride look "spiffy". Speed Racer will have nothing on you after we're done with your car. 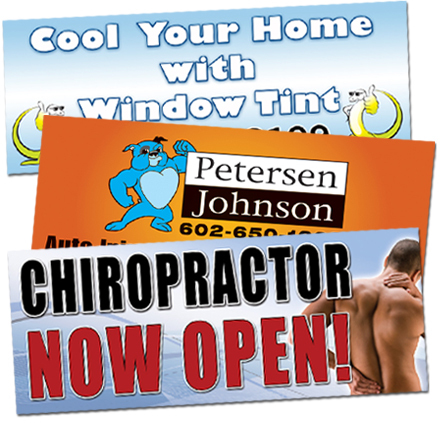 Vinyl banners are probably the least expensive way to get extra attention for your business. They are lightweight, easy to install, temporary and very affordable. We print, hem and grommet our banners in-house for fast turn-around and high quality control. 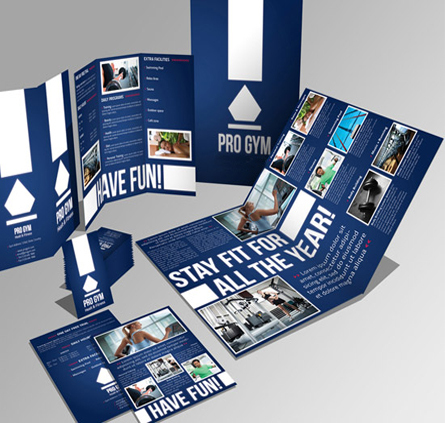 There are many sizes available, and we can print just one or thousands... our only limit is your budget! 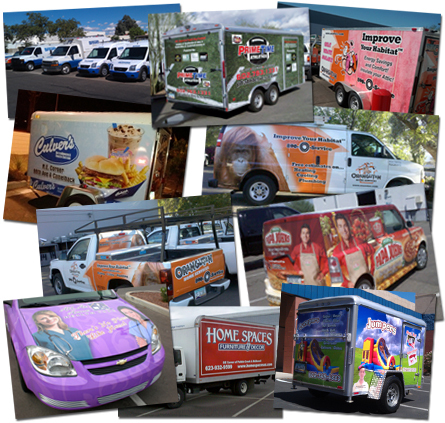 If you have a fleet of at least 3 vehicles and are looking for a reliable and affordable company to manage your fleet graphics, look no further than Hyper Graphix. We only do quality work. We do it for less. We do it on schedule. We make you look good. Need we say more? **Our first wrap was not really for Mr. Flinstone, that was an exaggeration intended to be of a humorous nature. What is not a joke is our commitment to quality vehicle graphics, so pick up the phone and call already. Business cards, brochures, postcards, letterhead, envelopes... Everything you need to make your business official. Well, official looking anyway, we don't help you get the legal stuff done, just the looking good part. Whether you have artwork that is ready to print or need us to design something from scratch, we can provide you with all of your printed business materials. With our in-house laser engraver, we can quickly produce a wide variety of name badges and other engraved goodies. Choose from plastic in many different color options or real wood with it's natural good looks and variety. If it's your company logo you want, you got it, just send us your logo and we'll take care of the rest! Yup, you heard right. 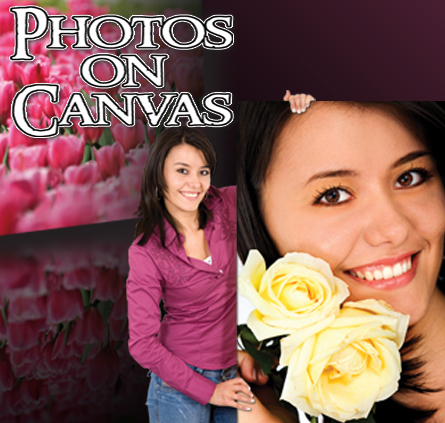 Your photos are printed on actual, real canvas and gallery wrapped just like at the art museum, for a lifetime of enjoyment. Your photos instantly become artistic masterpieces for everybody to admire, enjoy and even envy! So pull out the old shoebox of photos and fill your home with full-color memories instead!